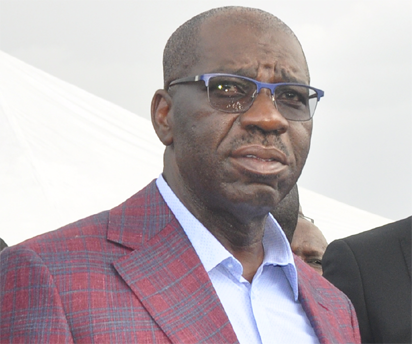 The Corporate Affairs Commission (CAC) has lauded the Edo State governmentâ€™s commitment to digitising governance and enthroning a new era that will engender open and transparent processes in government business. He added that he has seen the massive â€œroad construction and rehabilitation works across the state without any noise made about the projects. â€ Mr Jacob explained that they were in Government House to brief the governor on the ongoing initiative and programme of the commission in Edo State, called the Business Incentive Strategy (BIS), an initiative put in place to supplement the federal governmentâ€™s policy on ease of doing business and efforts at encouraging and developing Micro, Small, and Medium Enterprises (MSMEs) in Nigeria. â€œIt is a three-month window created for direct registration of business names at a reduced cost of N5,000. It is to ensure and encourage formalisation and registration of Business names at a reduced rate of 50 percent registration fee, from N10,000â€ he said. â€œWe are stepping up our game as a state and moving our whole platform of governance to digital platform for transparency and efficiency that come with digitalisation. Any society or institution that expects to compete globally must embrace digital technologyâ€. He commended the group for the Business Incentive Strategy (BIS) programme which he noted, would encourage small businesses to formalise their operations and assured that his administration would work with the CAC on the project.